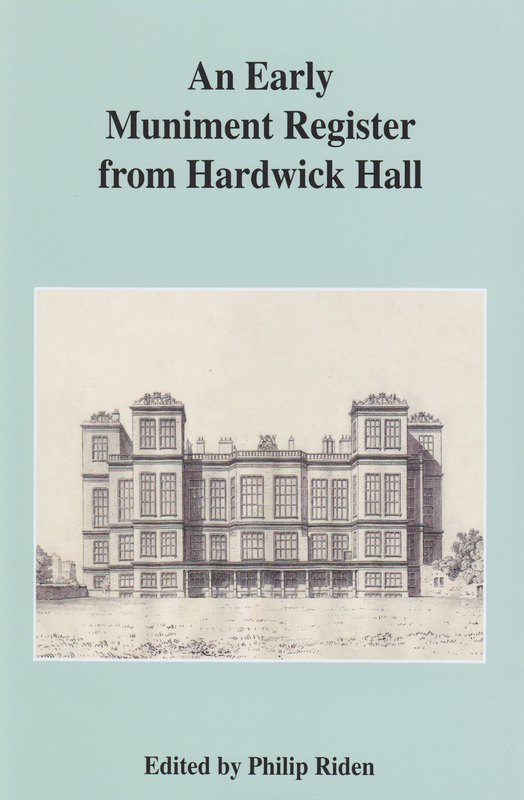 This title, which forms Volume XXXVIII in the Society�s hardback series, makes available, as a calendar in modern English, the earliest register of deeds and other documents kept in the evidence room at Hardwick Hall. The room, which is shown on the public tour of the house today, was fitted up with shelves, drawers and iron bars to the windows in 1601�3 as a place to keep secure the growing collection of legal documents which Bess of Hardwick and her son William, Lord Cavendish, accumulated as their estates expanded in this period. The register, which now forms part of the Devonshire Collection at Chatsworth and is published by kind permission of the Duke of Devonshire KCVO, CBE, DL, was begun before Bess died in 1608 and was added to in the 1620s, when the 2nd Earl of Devonshire was head of the family. The book lists several hundred documents, arranged under headings for each manor held by the Cavendishes, in both Derbyshire and other counties. In this edition, cross–references are given to the present location of the documents, where they survive in the Devonshire Collection, and to the enrolment of some items among the public records in the National Archives. The book is fully indexed. Edited in this way, the muniment register throws considerable new light on the development of the Cavendish estate in the sixteenth and early seventeenth centuries, and on the earlier history of some of the manors the family acquired in this period. This volume complements the Record Society�s earlier edition of the terrier which forms part of William Senior�s survey of the estates of the first and second Earls of Devonshire, made between 1610 and 1628.